Day 65 - Condiment bowl with sharpie stripe! 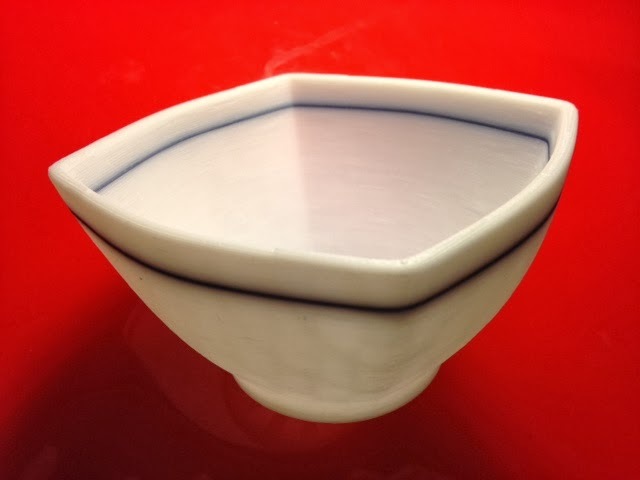 Same bowl as yesterday, but this time we colored an 8-inch length of the filament with a black Sharpie marker before it went through the machine. Beautiful stripe, worked perfectly!